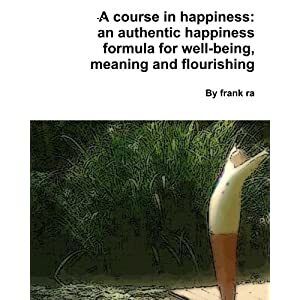 “A course in happiness” is your New Year resolution work-book. Evidence-based, with useful tools to design and keep your new year resolution and facilitate well-being, happiness and joyful living. They also address questions like “Is happiness an inside job? Or does it depend on external factors?” by thinking in terms of degree of facilitation. Some events are like a weight, making harder for people to fly; some are like a lift, facilitating people’s happiness. But, at the end of day, considering even the way human beings discern between weights and lifts is subjective (same event can be considered in various ways, and especially with different degrees of effect, by different people), happiness is about attitudes, it is not a place to reach through external factors. Enjoying the life from moment to moment is beneficial, getting attached to what gives pleasure is not. Pain happens, suffering is optional; change happens, growth is subjective; it is up to each person to decide which direction is taken. 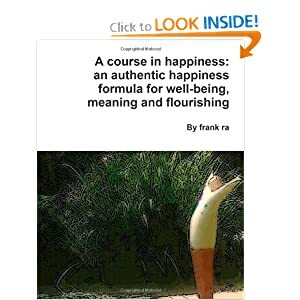 Two other chapters are devoted to measuring the external outcomes of living happily, both on a personal and social level. 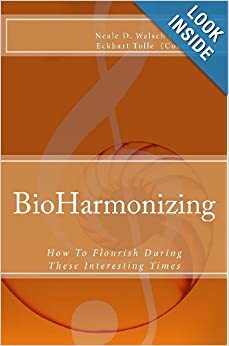 The last two chapters are showing the connection between Consciousness and Science of happiness, and how to start Shifting paradigms to facilitate our joyful living. The Appendix offers examples of how AmAre can be applied to several aspects of daily life (relationships, peace, parenting, etc. ), an Overture to future releases, short Inspirations, a list of Suggested readings, a final assessment of the personal AmAre index and a wrap-up to put all together with an action plan.